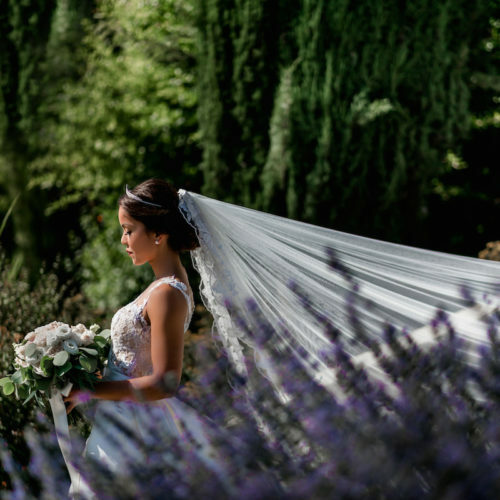 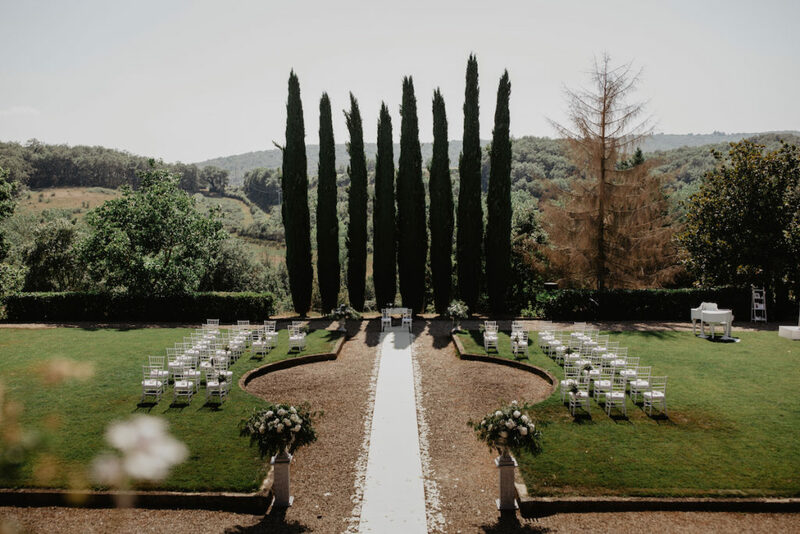 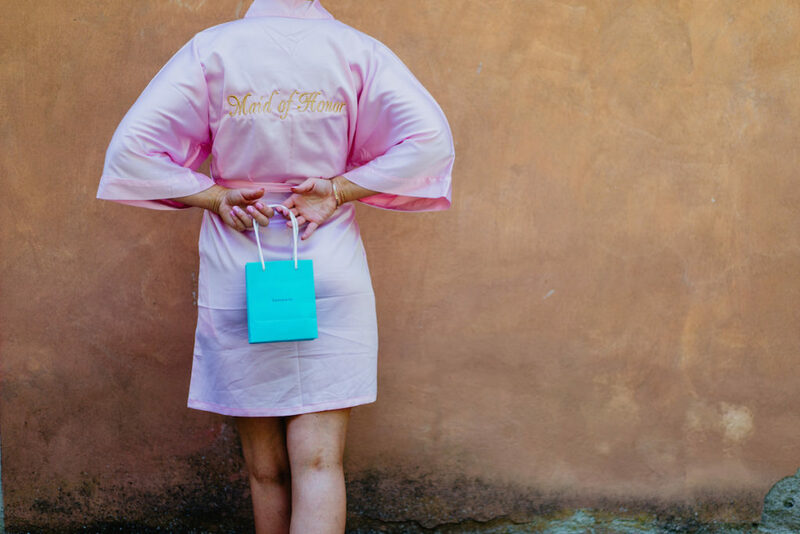 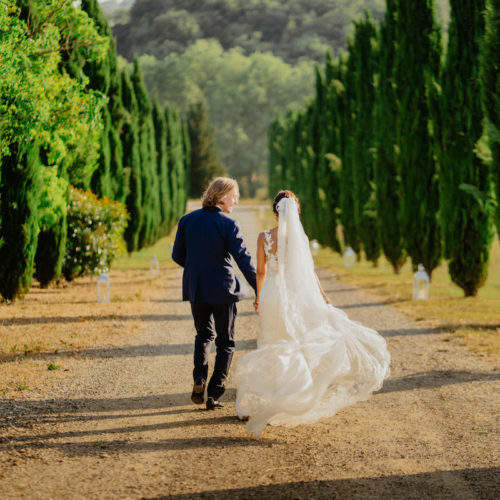 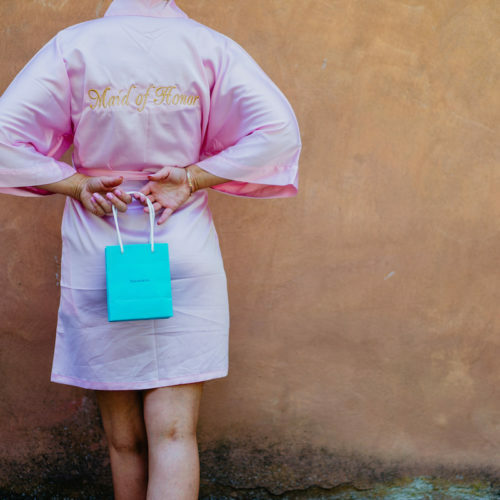 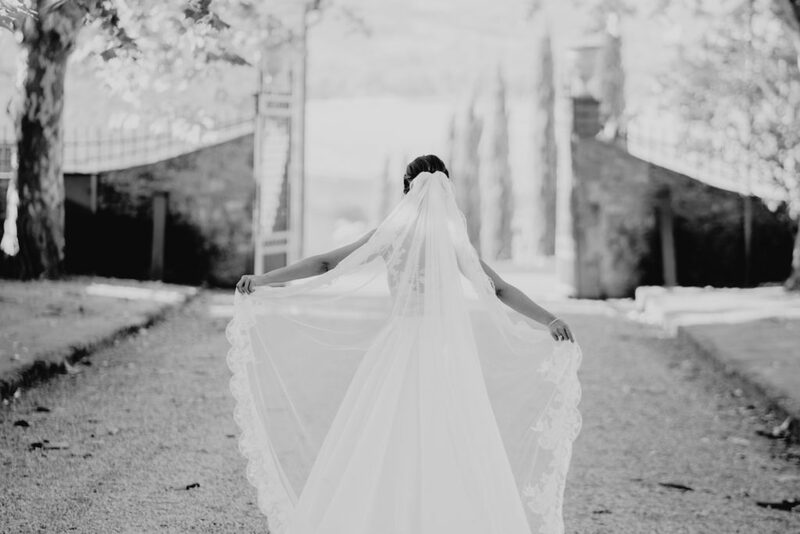 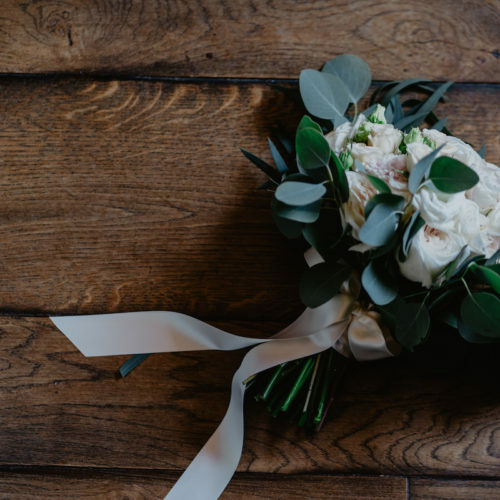 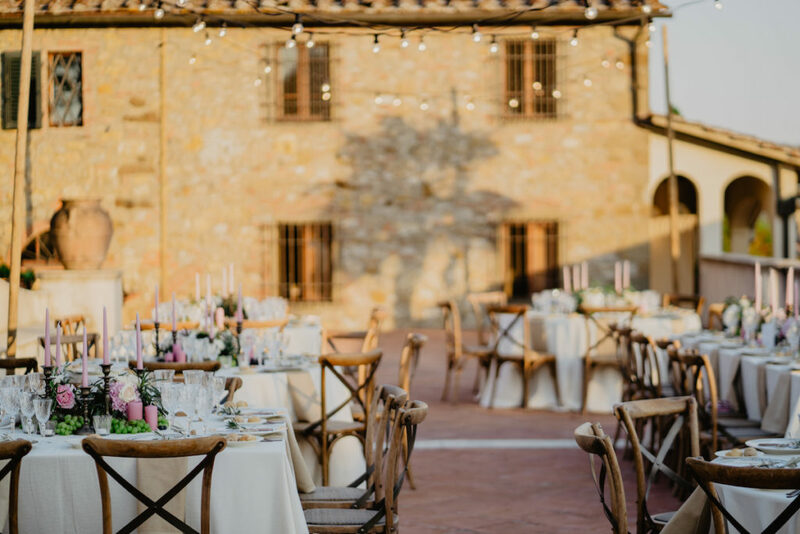 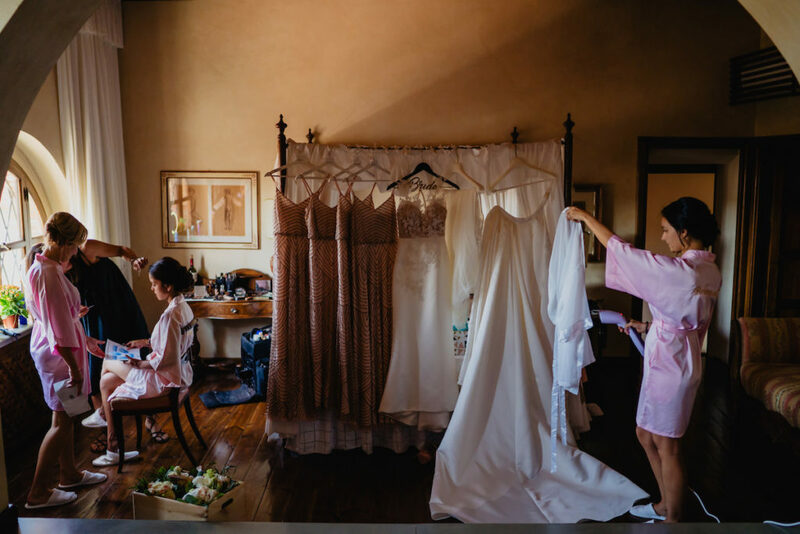 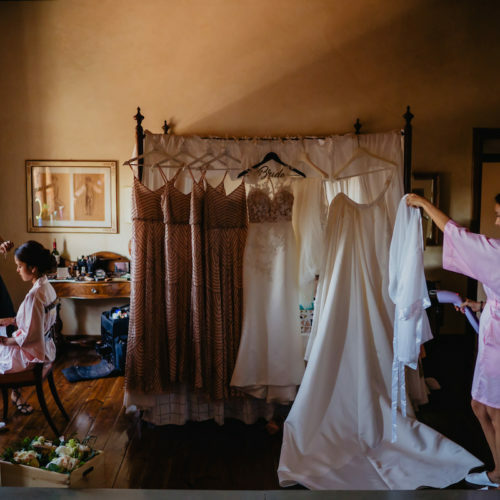 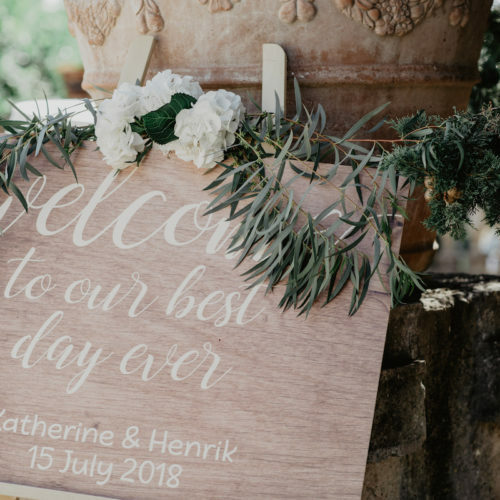 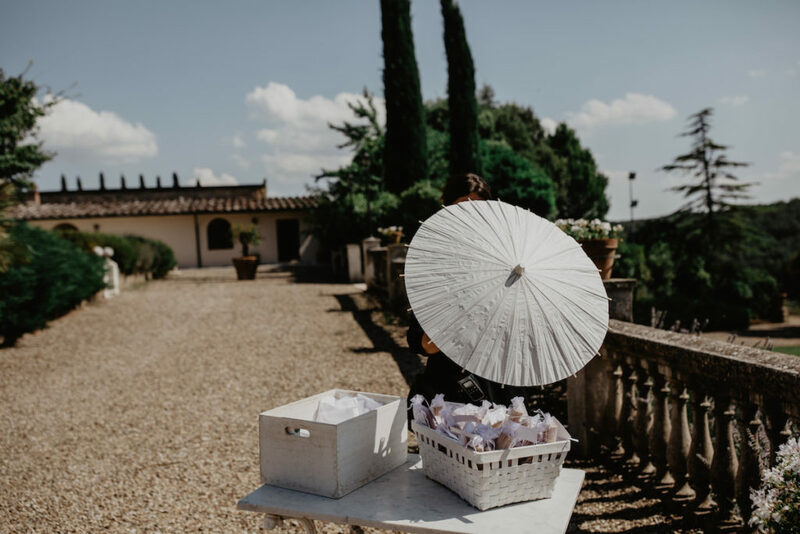 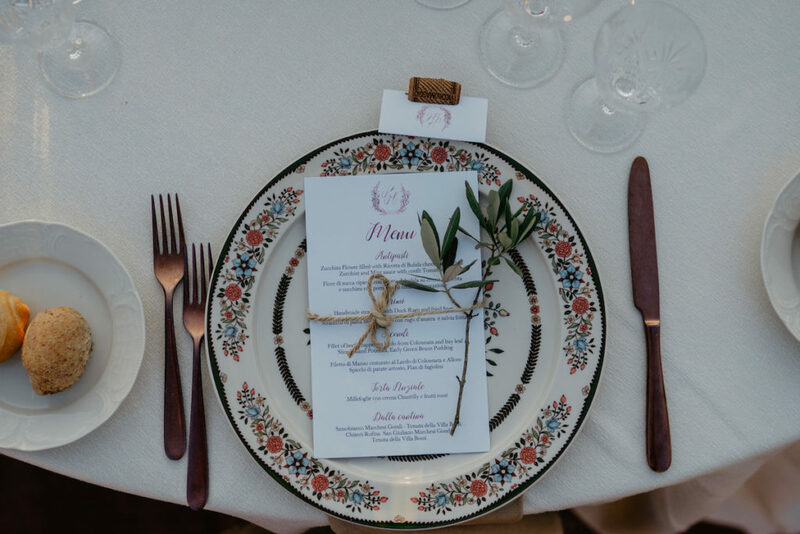 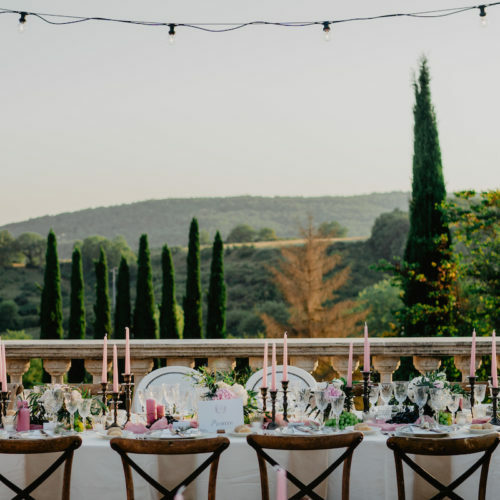 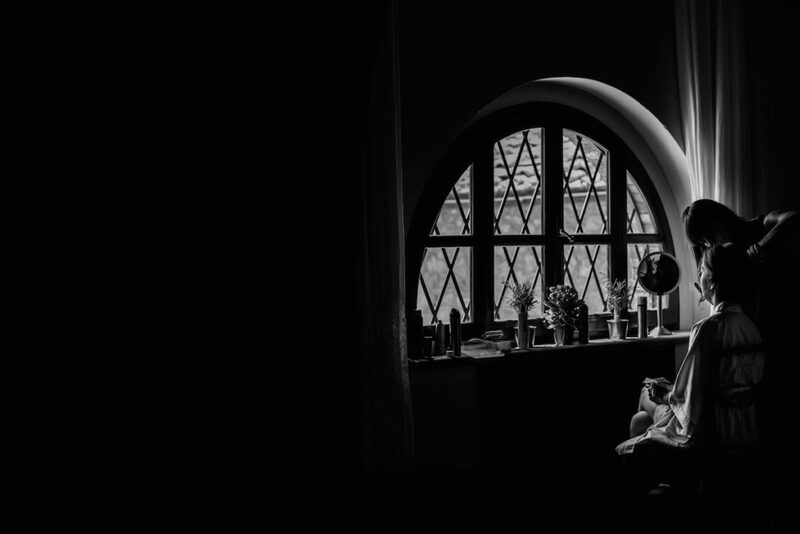 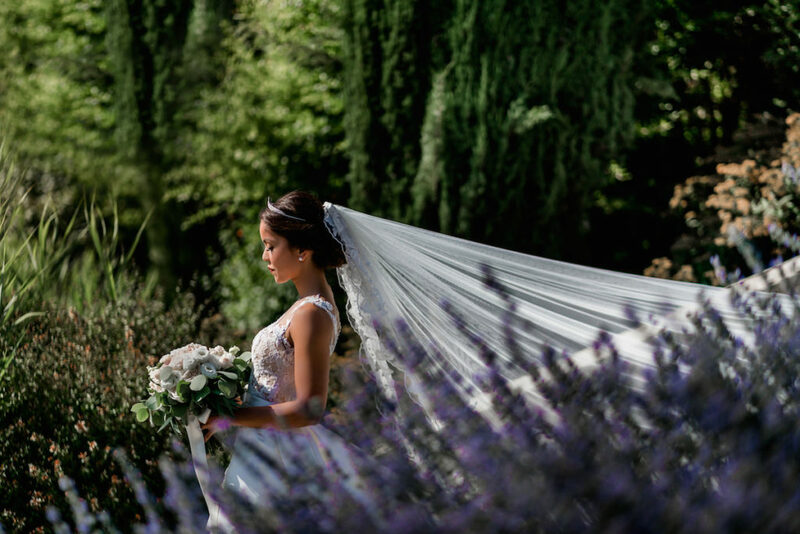 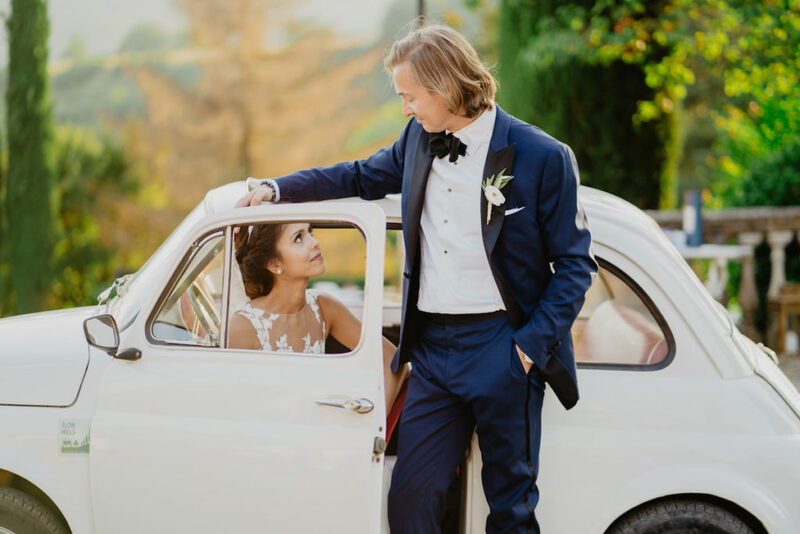 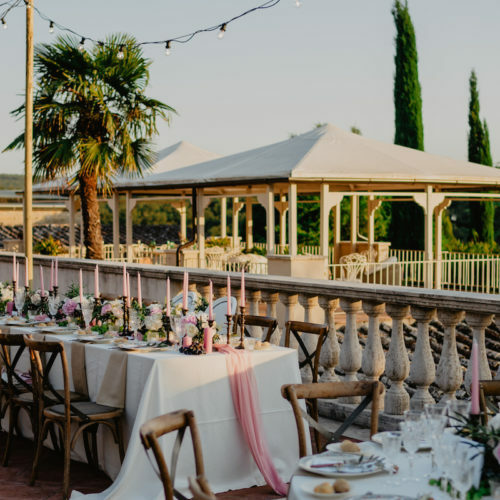 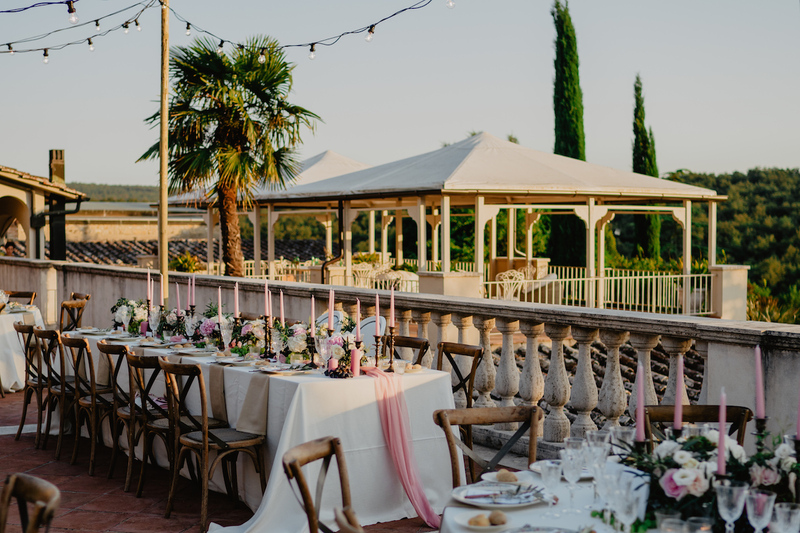 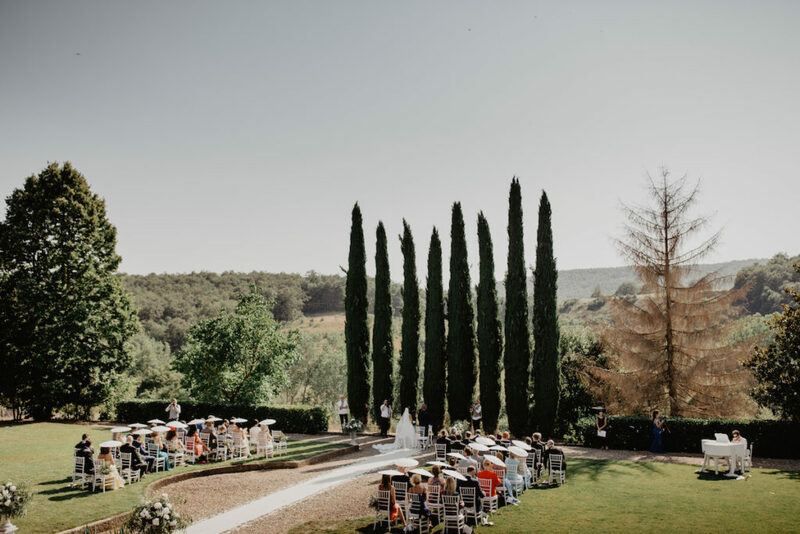 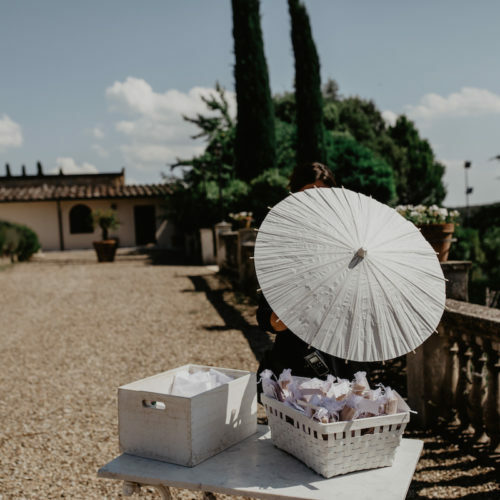 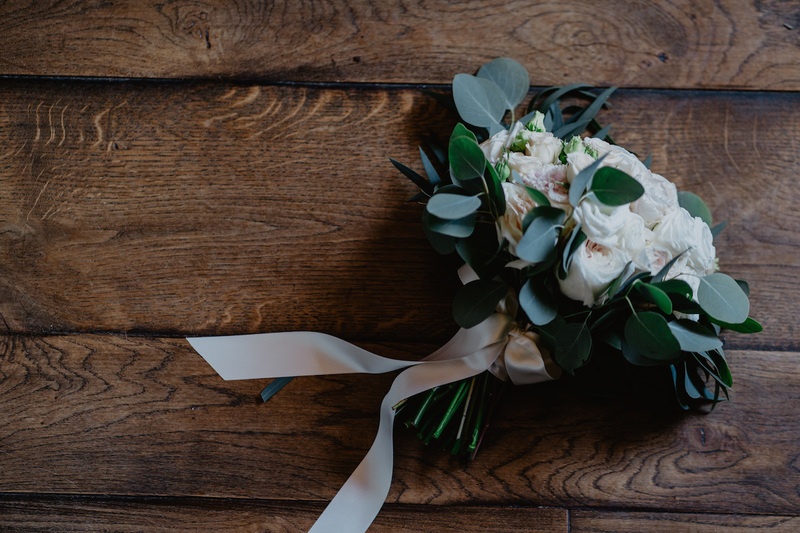 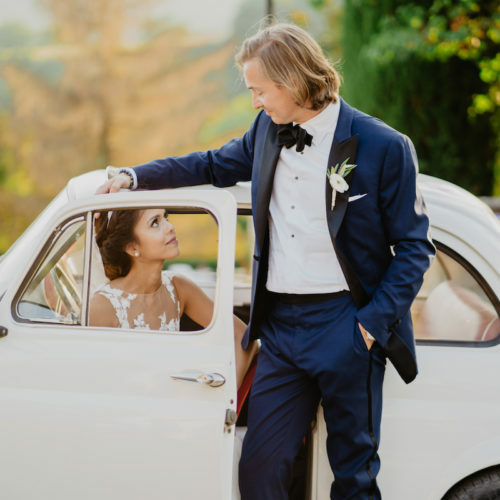 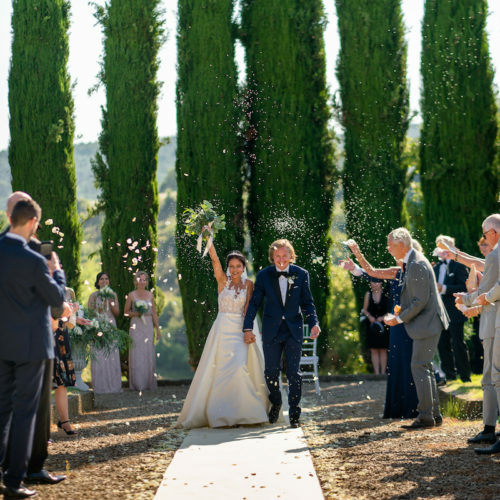 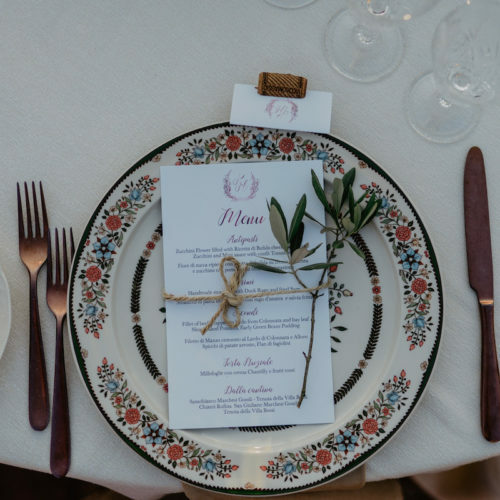 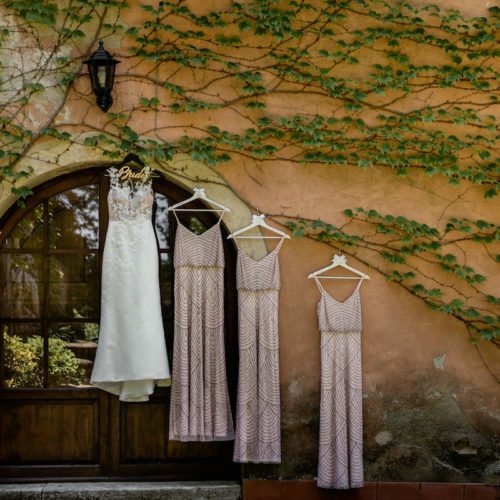 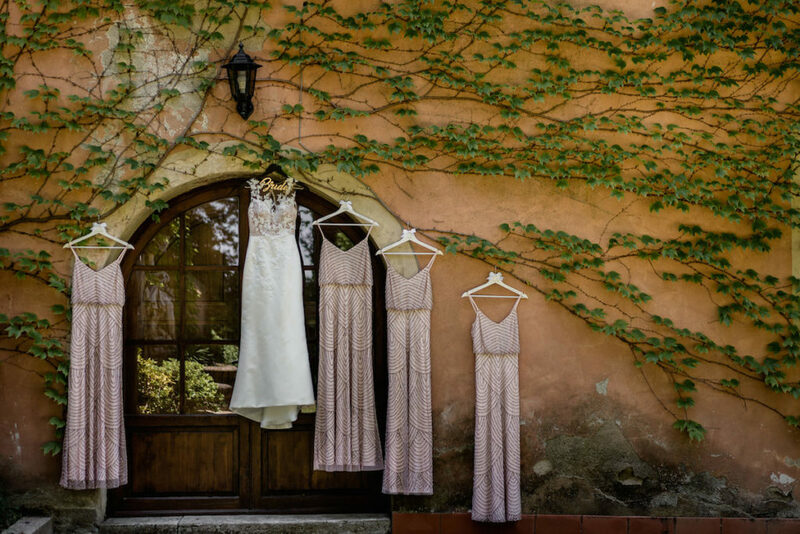 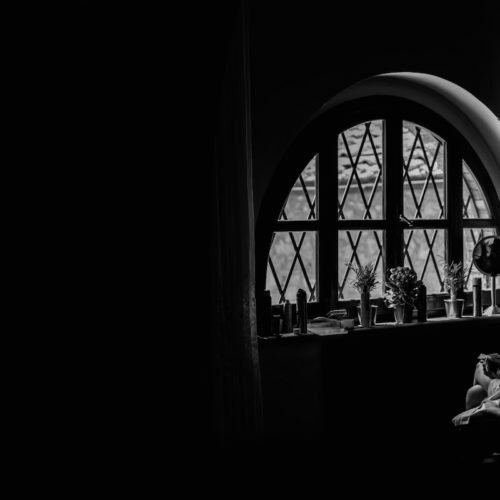 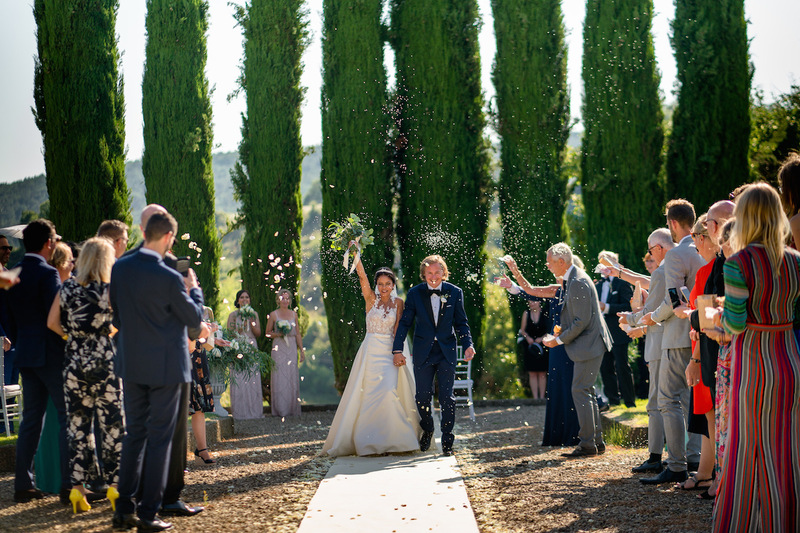 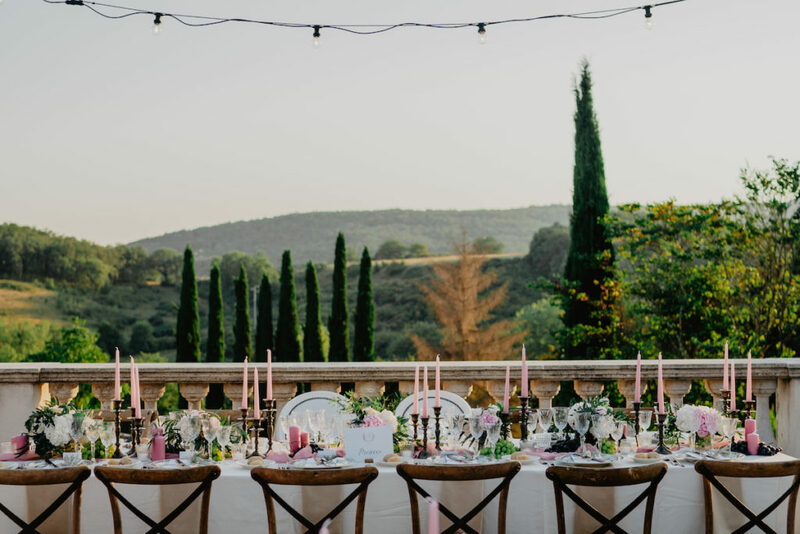 An elegant Ancient, Medicean rock farmhouses built in the fifteenth century and masterfully restored surrounded by cypresses and vineyards this is the scenario of this chic wedding in the Chianti area. 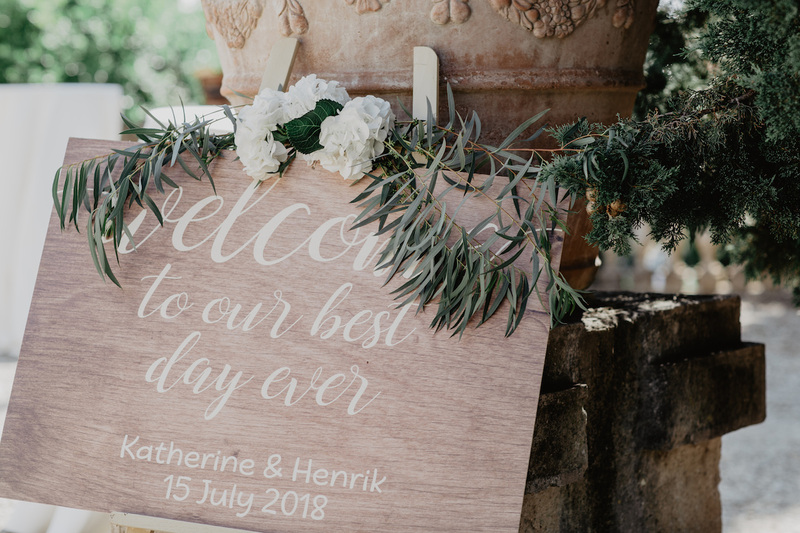 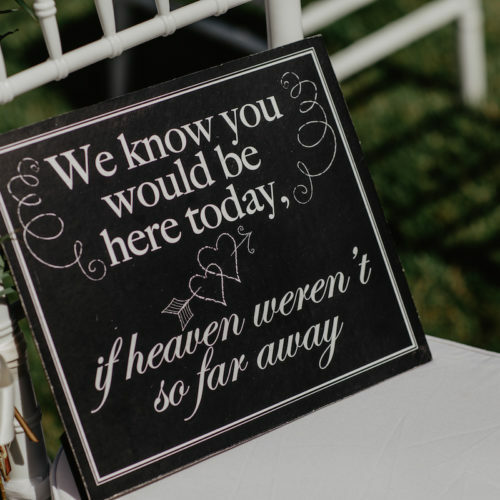 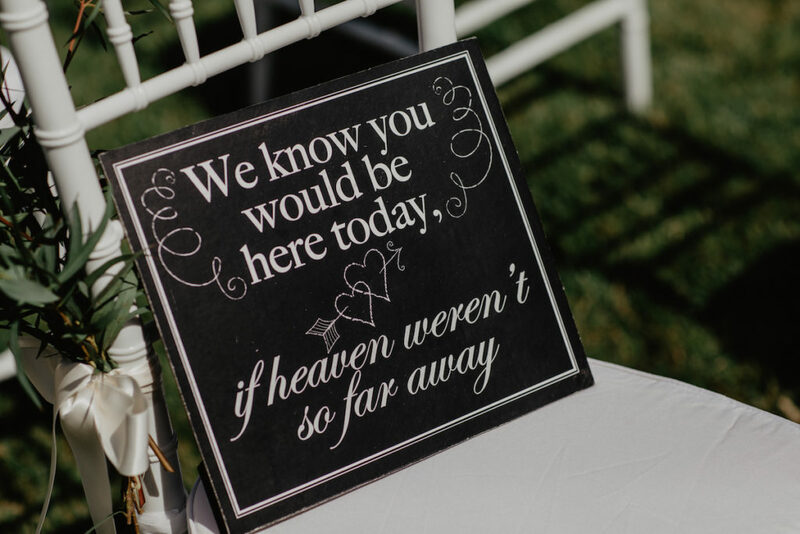 The couple wanted a chic and simple wedding to enjoy with the family and friends coming from all over the world, infact it was the perfect loction to meet everybody. 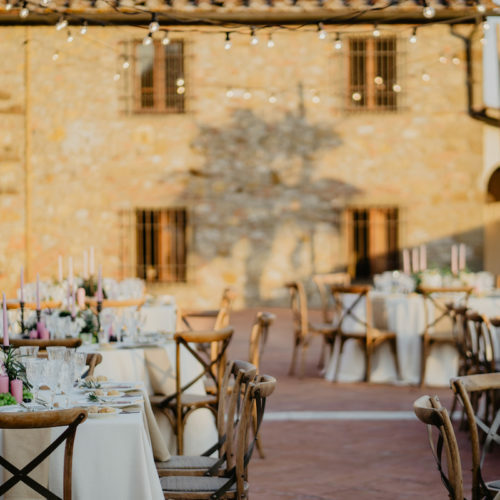 The couple live in Dubai and choose Tuscany for the atmosphere and the food. 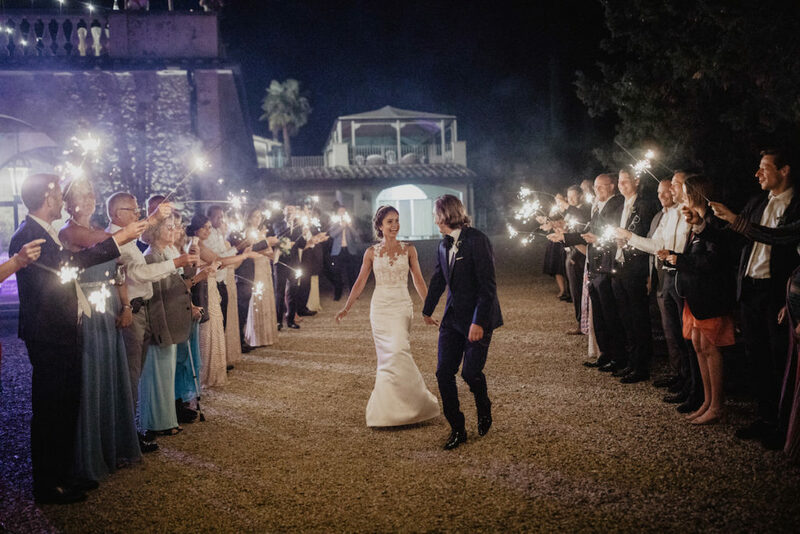 Their request infact was to have a simple wedding but very elegant and romantic. 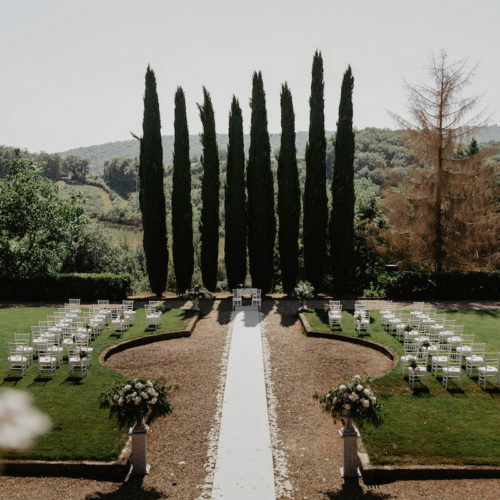 The ceremony was held in the magnific italian garden in front of the cypresses and it was legally binding infact this Villa has the right to have legally binding ceremony by the Municipality. 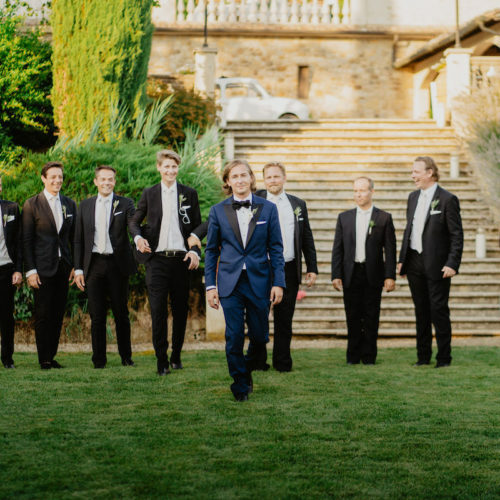 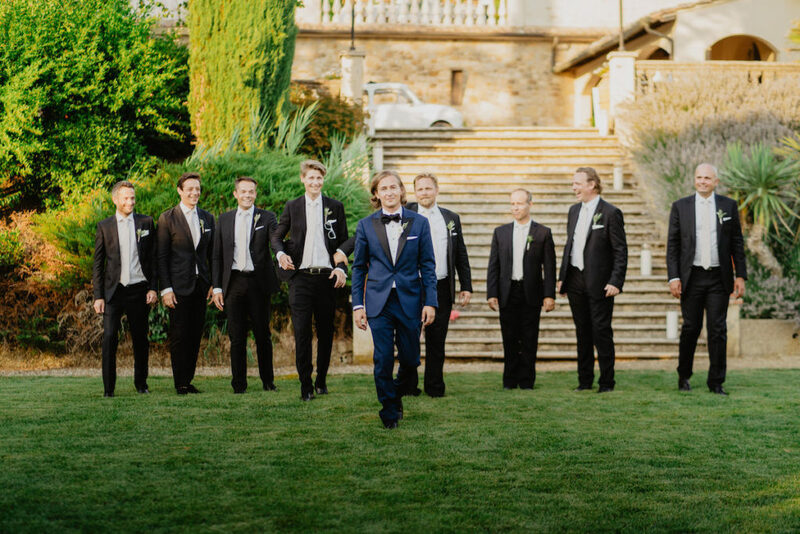 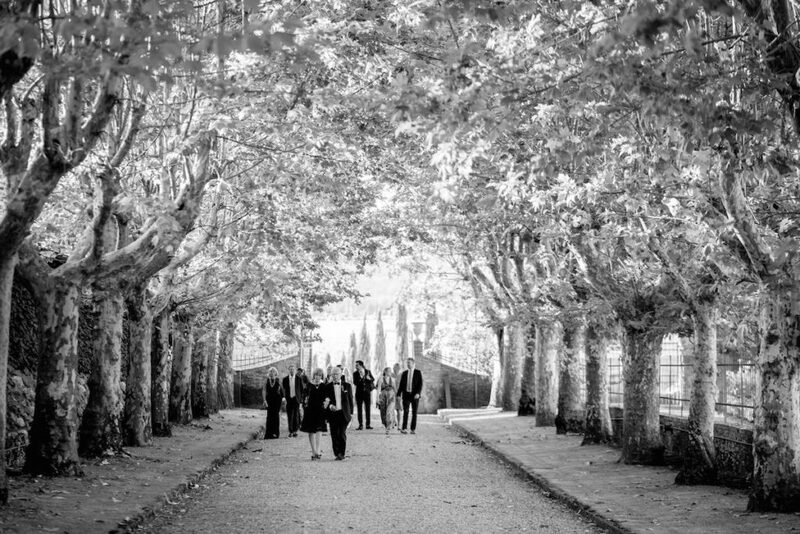 It was regal, classic and very romantic when the bride walked down the big stone stairs of the big garden. 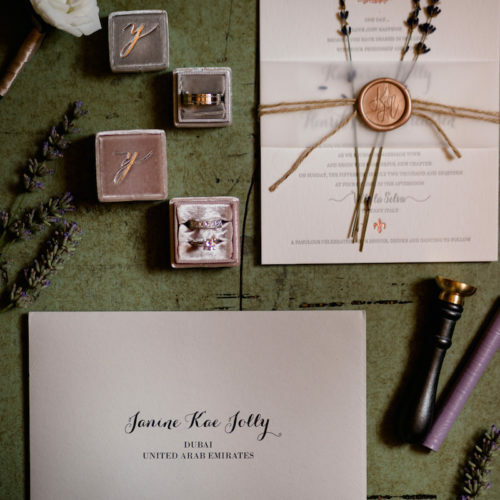 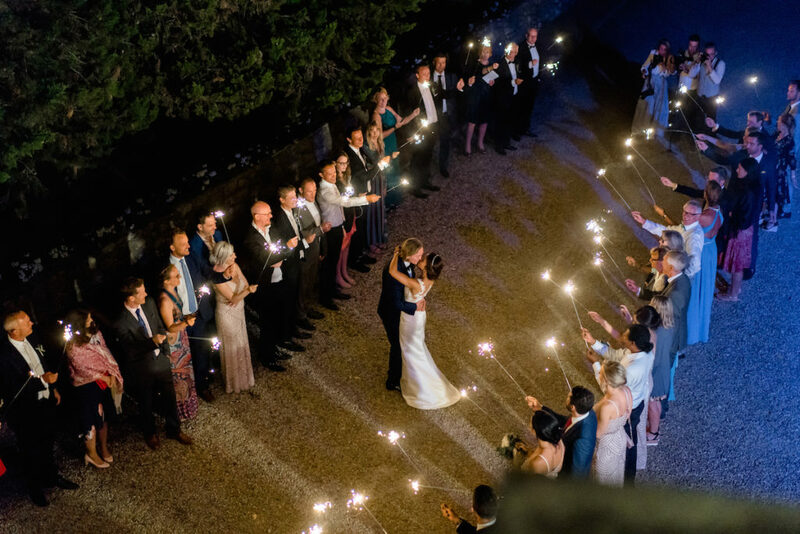 The choice of the colors was white and green for the ceremony, but blush, ivory with stick candles in a blush colors. 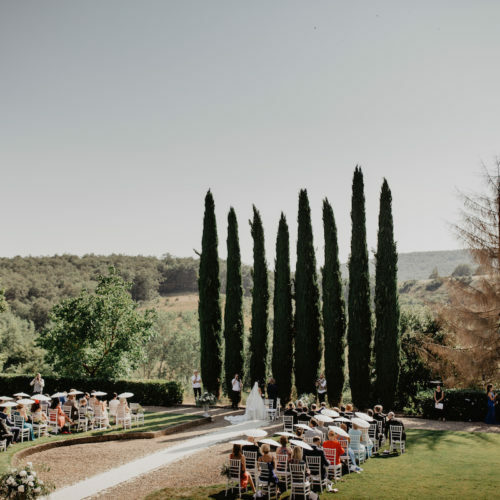 The music was present during the ceremony with a voice and a big white piano, during the aperitiv with a moving band, during dinner another white piano playing, and after dinner a dj with a sax player. 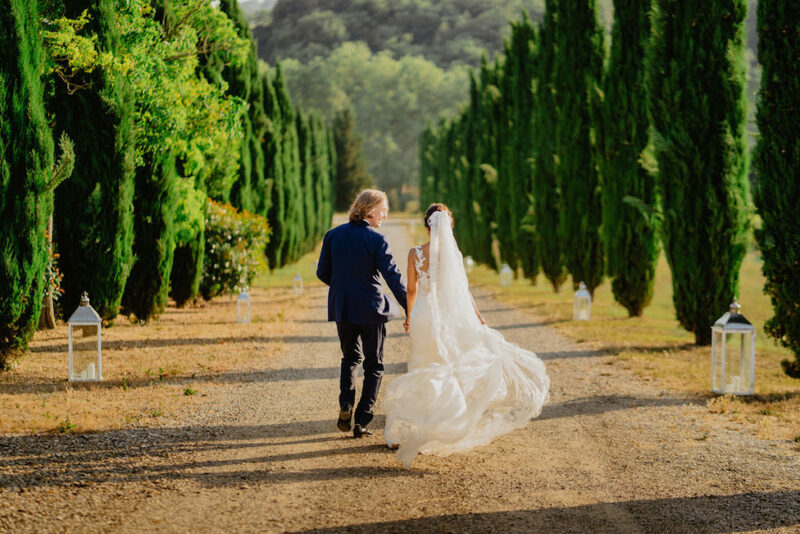 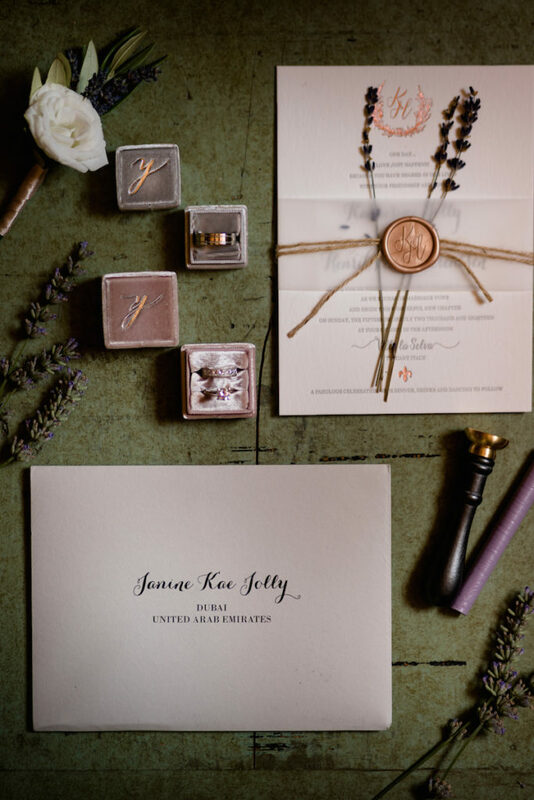 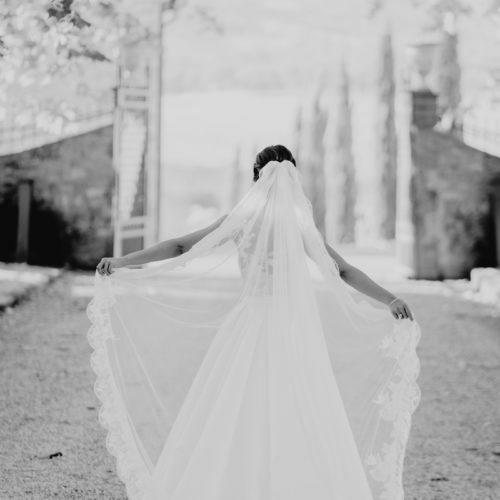 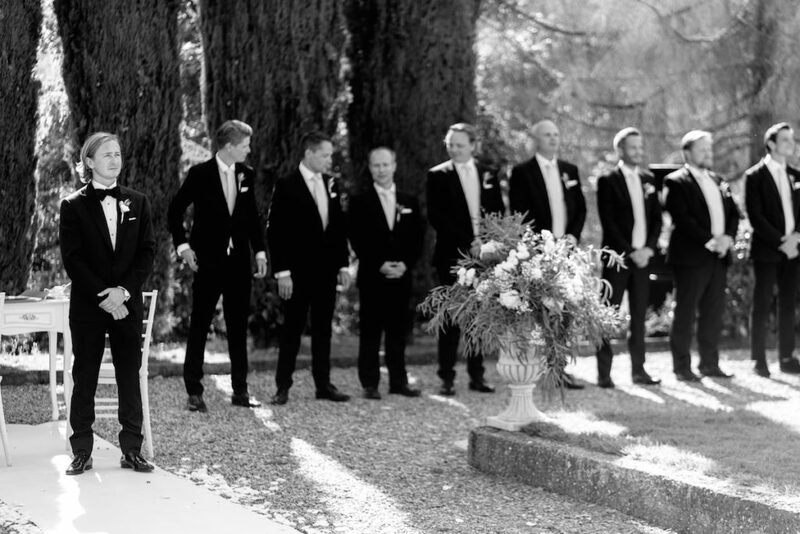 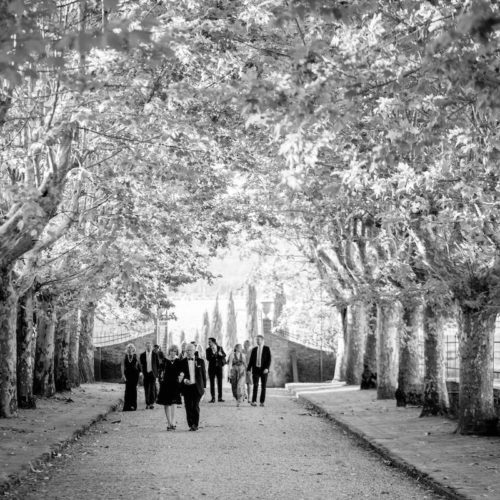 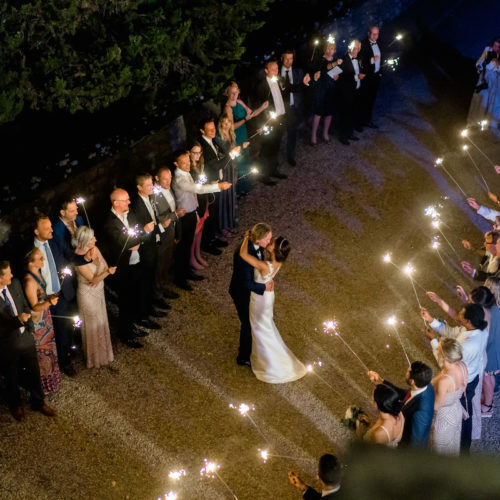 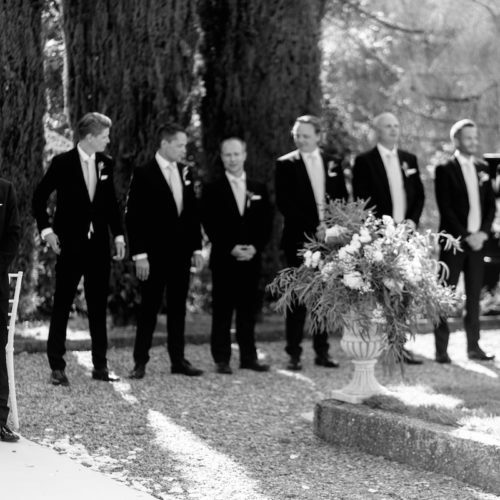 It was a perfect elegant wedding in the Tuscan country side. 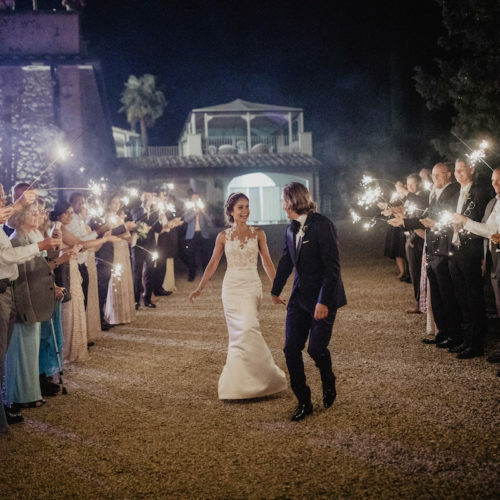 Make your fairytale wedding in a Wine Villa resort!